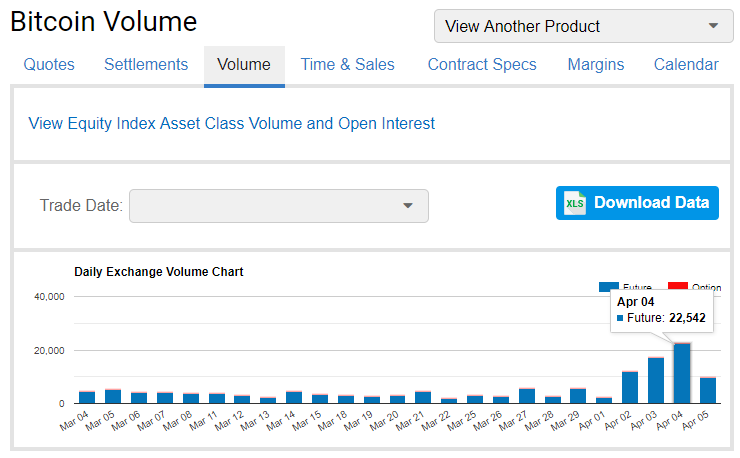 Since early April, the trading volume in Bitcoin futures has grown by 950% at the largest exchange of CME derivatives. However, the size of the futures contract at CME is 5 BTC, 22,524 contracts correspond to 112,710 bitcoins or more than $ 560 million (according to the current rate of the first cryptocurrency). 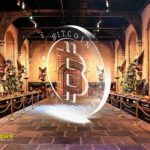 The previous record on CME was recorded on February 19 - then the volume of trading in bitcoin futures amounted to 18.3 thousand contracts. 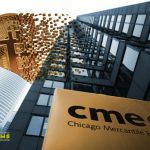 Until April, traders are able to buy and sell Bitcoin futures at two websites, both located in the world center of Chicago derivatives trading. 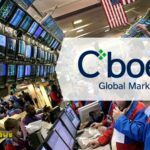 The Chicago Board Options Exchange (CBOE) was the first company in the world to open trading on BTC derivatives on December 10, 2017, with the permission of the CFTC regulator, to abandon them on March 15, 2019 due to low liquidity. The CBOE leadership explained the refusal by the fact that the volume of trading in contracts did not exceed $ 30-50 million. This was not only the cryptozyme fault - the American Futures Trading Association (FIA) refused to distribute the new asset among traders. 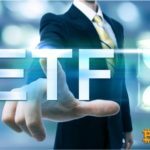 The exchanges do not trade directly with customers, so the turnover of BTC futures was supported only by “selected” companies with access to CME and CBOE, which did not join the FIA ​​boycott, which was directed by the largest US banks. © 2018 bit.news | queries 226, for 0.434 sec.